Kolau had the opportunity to interview Amber Kroeker, CEO & Founder of Pip & Grow, a Portland-based company that took a decades-old Finnish tradition of their product, baby box, and revolutionized the product here in the U.S. Their baby box is designed to help reduce the number of infant deaths from Sudden Infant Death Syndrome (SIDS) through safe sleep. Through knowing their consumer and growing their community, Pip & Grow thrived in the baby safety industry. 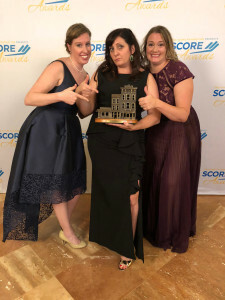 The company has recently been named one of the Grand Winners for the 2018 American Small Business Championship and SCORE Awards winner for Outstanding Retail Small Business. How did Pip & Grow all start? So the idea and the concept came up to me almost 5 years ago. I have a background in pediatric trauma and injury prevention. One of the parts of my job was to look at infant death and the preventable cause of infant death. Of that, safe sleep was one of them. Sudden Infant Death Syndrome also known as SIDS — we don’t really call it SIDS very much in the medical community but basically infants die while sleeping — is the leading cause of death of babies under the age of 1. We have 4,000 babies die a year in the United States while sleeping. In part, I noticed a gap in the industry of lightweight, portable sleep spaces that parents could use that was foolproof and good for the environment. Right around that time, I heard about the Finnish Baby Box and wanted to bring that to the U.S. I wanted to make it and so I applied for an Innovation Award and won it. And that’s where we started. Could you explain what a baby box is and what makes your Smitten Baby Bassinet Box different from your competitors? Ours is a completely different product than the others. The only similarity is that all the products are made out of cardboard. Our product looks more like a bassinet and less like a box. The other products look exactly like a file box. They have four sides and a lid. We took that concept and built on it and make something more beautiful, user-friendly, and safer. Our product, while it does have four sides, our sides are angled out to help with air flow and help non-profit organization store them easier. We have a lot of hospital partners that buy hundreds and thousands of things at a time and storage is an issue and so this product allows it to nest it within itself. We took the lid away because we knew if we gave the opportunity for something bad to happen, say well-meaning sibling or a grandparent or a babysitter putting a lid on a sleeping baby. We didn’t want any part of that so we took the lid completely away. So you mentioned donating bassinets to a non-profit organization and I see on your website that you allow customers to donate a baby box to families in need with their purchase. Is this also part of your marketing strategy? Could you tell me more about this? When I first started on this road, I really wanted to start a non-profit but decided instead to start a company and grow slowly and stay small until we could get more of a social benefit corp status. My background is in corporate health and that has infused itself into every fiber of the company. The theme of taking care of each other and giving back is the mission of our company. To do that we are made solely in the United States. We don’t have any manufacturing overseas, so we’re keeping our jobs in the U.S. And we do a lot of donations and supports to hospitals and non-profit organizations. So an example of that was earlier this month, we sent down so far 50-100 bassinets to the victims of the California Campfire. So those families that have been displaced, many of them with newborn babies had to flee with the clothes on their back, we sent down bassinets to help those families. We’ve done that with the floods in Texas and a few other places as well. What marketing channels would you say drives the most customers/leads? I think the best marketing channel for leads is really the convenience of the product and really looking at the product as part of the social consciousness of the consumer around baby products. For years, parents been told they need to buy tons of stuff for their baby and what we really want parents to recognize is that they don’t need a $20,000 crib or the fanciest, top-of-the-line products. 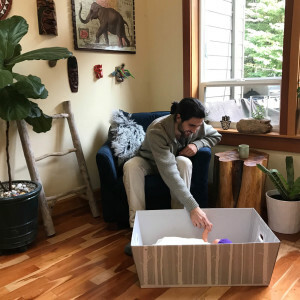 Something as simple as a cardboard box can be a safe convenience space for your baby and kind of looking forward to how they can leave the world a better place for their child as well. Our product is sustainable, recyclable, and overall less harmful to the planet. We find that this really resonates with people and the story of how the company was founded also resonates with them. That’s kind of the marketing aspect that we play up. We try to get people to come to our community. 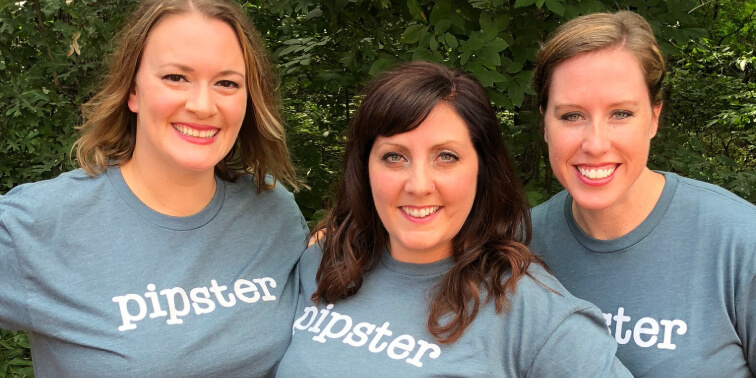 We call ourselves the Pipsters and we have Pipsters Pride Day and all sorts of fun things our community could participate in. I noticed that you have a blog and a newsletter. What kind of content do you write for your readers? We post content that we want to read. We’re moms and we know what’s important in what moms want to know and that’s what we try to educate on. So some of the blog posts are gonna be safety-oriented because that’s my background and my expertise so it might be “How to Have Conversations with Your Pediatrician Around Safe Sleep” or “What Safe Sleep Look Like” and even so far as looking at how we parent and the issues that come up while parenting. It’s a little variety of everything. We’ve kind of let the blog lapsed a couple of months and we will be reviving that quite a bit in the coming year because we do find that parents engage with that and really do like it. Our newsletters are sent out to everyone in our reserve and we try to keep them short as well because we know that people don’t have a ton of time so it’s usually goal-oriented or one-topic focus. I also see that Pip & Grow is featured on several media sites. Do you have a PR strategy in place? We do. We are working with a marketing company right now and our PR strategy is pretty much trying to work with the coverage we were able to get already. All of that has been organic so due to the awards, we got a lot of attention and partnerships that came out of that. So we’ve just been leveraging that to try and get a little bit more coverage as well. We don’t have a huge budget for any of that because we are a small company but we’re growing rapidly. That’s something we will be strengthening this coming year. What are you doing for customer retention? We have a couple of techniques for that. We want our customers to be happy, satisfied, and love our products so we do some follow-up with them. We’ve done some email surveys where we just reach out and ask them about the product, their experience and what it was like to use the product and how we can make it better. And then also we reach out thanking them for supporting us as a small business and it means the world to us. We find that we have a lot of retention around that because people believe in the mission and the idea of making the world a better place for our kids and for each other and I think they’re really subscribed to that. What advice can you give to other small companies in the baby product industry that struggle with customer acquisition and retention? I think it’s really important to understand your customers and understand what is the value proposition to them. You may think you have the coolest product but if it doesn’t hold value for parents then they won’t purchase it. Also be authentic. I think that’s really important. Some of the best advice from our business mentors is “people buy you, they don’t buy your product” and we really found that to be true. Our customers are buying an idea and it just happens the product is awesome as well and that’s helpful. Finally, give me a prediction of what you think will be the best way to win customers in your industry in the next few years. I think it has to be innovation and not necessarily technological innovation but just innovation in how to make things easier for parents and also with the guide towards how to make things better for our planet. We are such a consumer culture and looking at how we can help parents get back to basics, I think that’s where we’re going to be seeing a lot of movement in the industry.